Hardwood vs Softwood Furniture: Is There a Difference? Comments Off on Hardwood vs Softwood Furniture: Is There a Difference? People in the furniture business love talking about “hardwood furniture.” And they never seem to mention “softwood.” Is there a difference? And how does it affect what to look for in your next piece of furniture? Hardwood vs Softwood Furniture: Is There a Difference? will clarify things. First, let’s muddy the waters a little bit. Hardwood is not necessarily harder than softwood. For example, balsa is a hardwood. But balsa wood is relatively soft, malleable and lightweight. That’s why manufacturers use it for model airplanes. Now let’s clarify things. 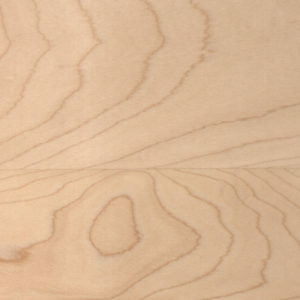 Softwood and hardwood are distinguished by the way they reproduce. Softwood trees are usually coniferous – evergreen – trees. And they’re known as gymnosperms. This means they reproduce by forming cones. The cones in turn emit pollen, which is spread by the wind to other trees. The pollinated trees then form naked seeds, which fall to the ground or are borne on the wind. So new trees can grow elsewhere. Of course, everyone can name some softwood trees. They include pine, redwood, douglas fir and cypresses. Softwood trees tend to grow faster than hardwoods. As a result, they’re lighter, less dense and are easier to cut. So they’re more economical then hardwoods. And you’ll find softwood trees being used for telephone poles, decking, flooring and veneers. Hardwood trees, on the other hand, are usually deciduous trees. These broad leaf trees typically shed their leaves each fall. Hence the beautiful red, orange and brown leaves of autumn. Also, hardwood trees are angiosperms. This means they produces seeds with a covering such as a shell or a fruit. Also, they usually form flowers to reproduce. Insects and birds become attracted to the flowers. And they carry the pollen to other trees. When fertilized, the trees form fruits or nuts and seeds. Most hardwood trees grow slower than softwoods. So they tend to be more dense. This is why hardwoods are more suitable for furniture. Hardwood furniture can take the abuse of daily use. While performing well and looking great, year after year. Examples of popular hardwoods used for furniture are oak, maple, cherry and hickory. Brandenberry Amish Furniture represents the best in hardwood furniture for your home or office. Amish craftsmen painstakingly craft each piece of hardwood furniture. So with proper care, Brandenberry furniture should last for generations to come.